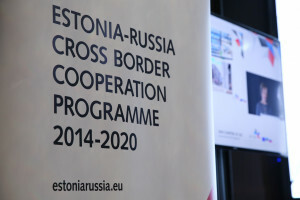 On 22 November 2016 in Tartu the Estonia-Russia Cross-Border Cooperation Programme 2014-2020 held the Launching Event “New Chapter of CBC” which gathered all interested stakeholders from both sides of the border areas of Estonia and Russia. National and regional authorities, potential beneficiaries have showed high interest to this conference: more than 140 participants registered. Due to this fact the Estonia-Russia Programme announced life streaming to allow wider public to participate in on-line regime. The Launching conference was opened by the Head of the Regional Development Department of the Ministry of Finance of the Republic of Estonia, Mr Priidu Ristkok who presented the history of the Programme development and steps done. In conclusion he wished to all inspiring new ideas and constructive cooperation. Welcome words were given by Mr Ilya Subbotin, Head of Regional Cooperation Division, Department of European Cooperation of the Ministry of Foreign Affairs of the Russian Federation. In his speech he stressed on prioritizing sustainable results and better visibility of the Programme in the current Programme period. Head of Managing Authorities of the Estonia-Russia Programme, Ministry of Finance of Estonia, Ms Silja Lipp gave an overview of state of play of the Programme. While Ms Svetlana Bibichkova, Deputy Head of Unit for Interregional and Cross-Border Cooperation, Department for Development of Interregional and Cross-Border Cooperation of the Ministry for Economic Development of the Russian Federation accented on expectation on signing Financial Agreement between European Commission and Russian Federation be the end of the year. During the event participants were involved in the entertaining game to discover peculiarities of Estonia and Russia and its partners’ cooperation. Doctor of Philosophy, Ott Pärna, delivered training on future of work, skills and cooperation. 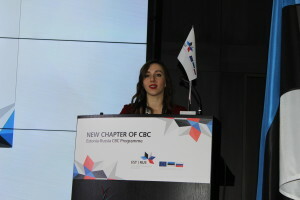 Launching Conference “New Chapter of CBC” defines the beginning of Programme implementation. Programme Joint Technical Secretariat presented key requirements for the Call for Proposals which is planned to commence on 17 January 2017. Participants may start from now to elaborate project ideas so that to be ready to fill project summary forms in the electronic Monitoring System which overview was provided to the audience. Information seminars will be organized by the Programme in February 2017 in Pskov, Russia and Viljandi, Estonia. Please follow the news on Programme website. The presentations delivered at the conference are published HERE. Please visit the photo gallery of the event HERE.